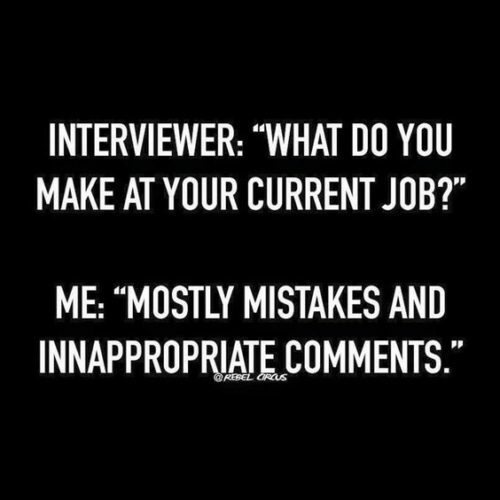 We’ve all been there, answering interview questions, and for a sarcastic person like me, this is plain funny! However, here in California that sort of question is no longer allowed, unless you are being asked what sort of product you may have made. Now, quick words to the wise. When interviewing, stay confident! And forget you ever read this. Be sure to follow us on Facebook and Friendslr and Twitter for new stuff nearly every day! Or, right here on Laughshop.com, or course. Shoot, we’re so old we even have a MySpace page!